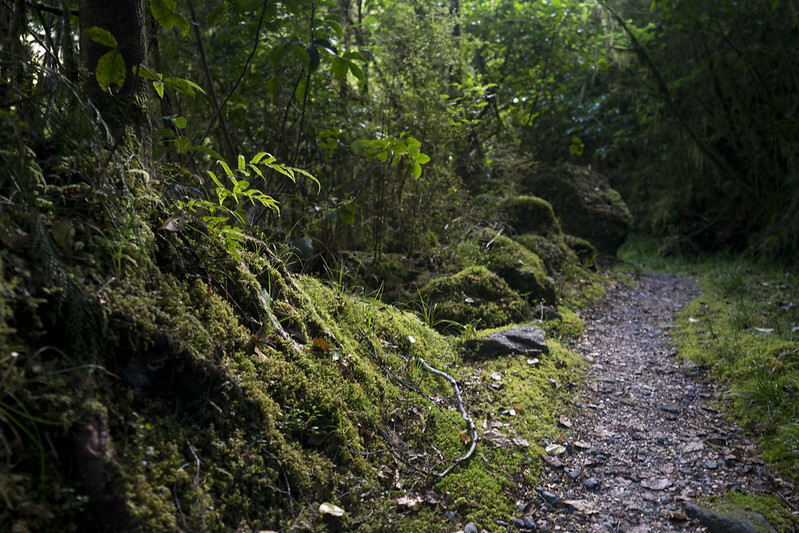 Milford Track is a 53.5km trekking course in the Fiordland National Park of South Island at New Zealand. 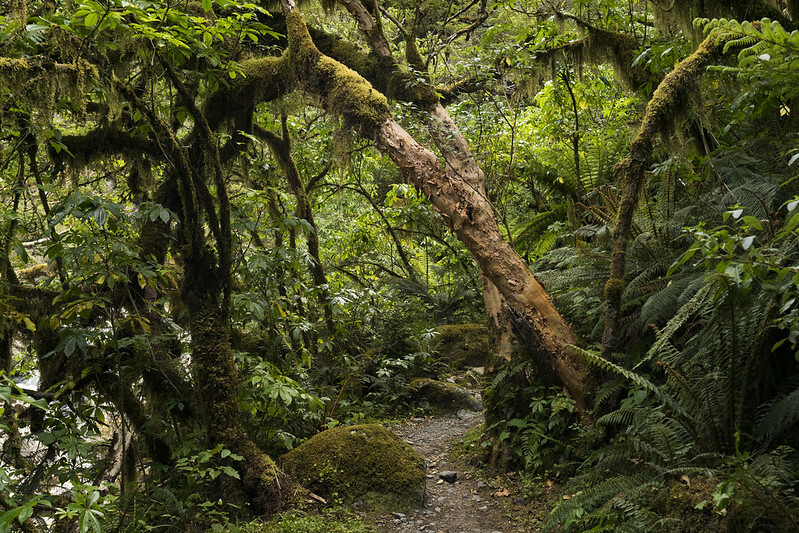 This walk is rated that “The finest walk in the world”. The steep valley where glaciers have been scraped is one of the best views. 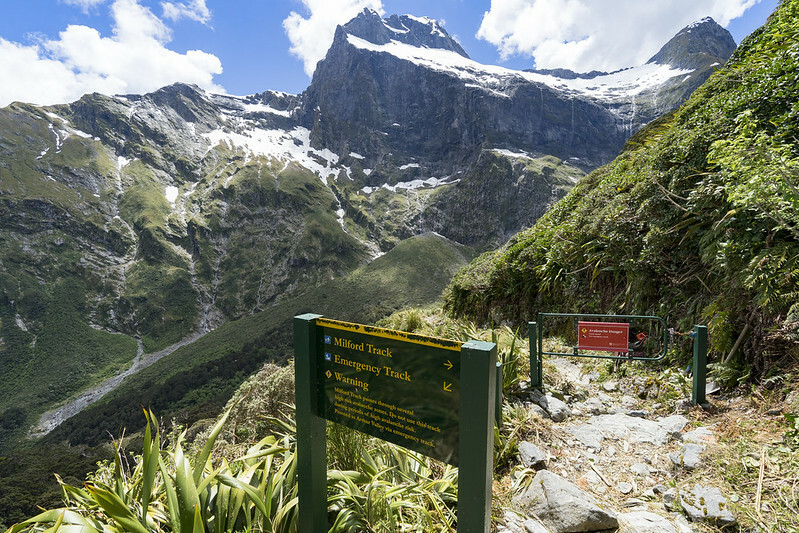 Milford track is restricted by 90 people in a day and you can not walk freely. After booking all the mountain huts in advance, you will have to walk the scheduled course. This is a very popular course, but it’s very quietly. 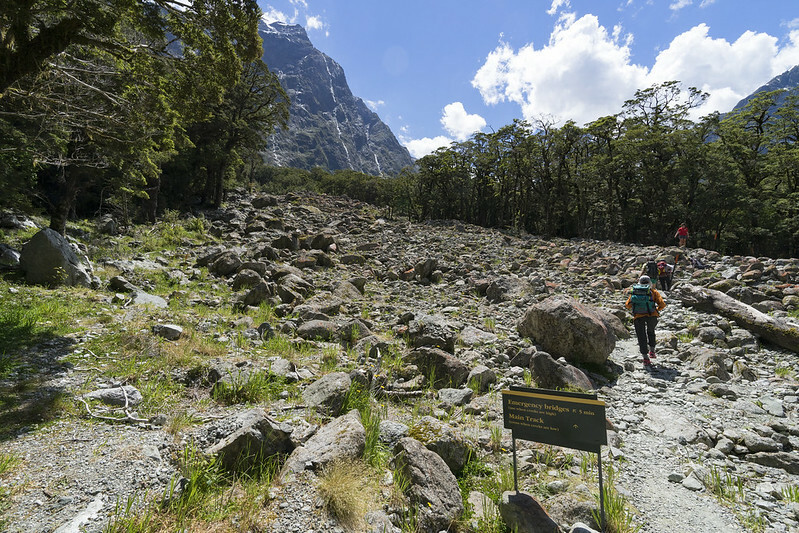 To join this trekking, there is a way to participate in Guided Walk conducted by Ultimate Hikes, or arrange a public hut and make it your own personal walk (Individual Walk). This time I participated in a guide walk with 5 days from November 25, 2017. 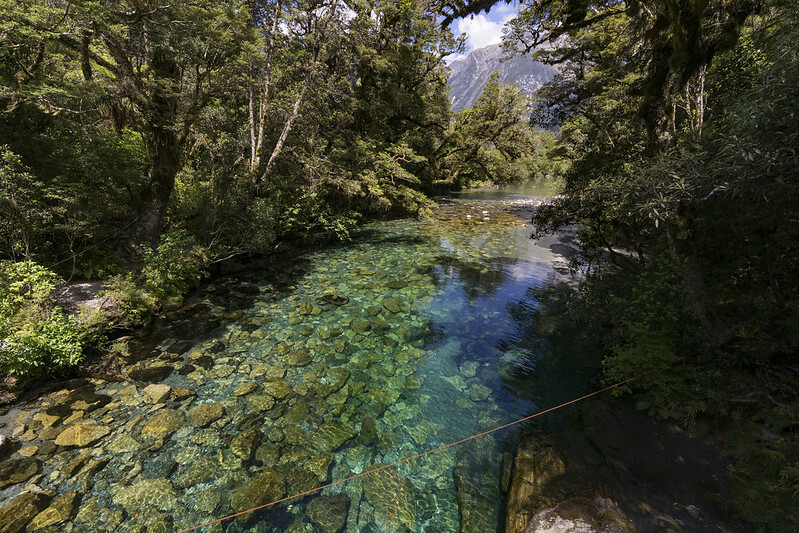 There is no big town near Milford track, so the base town is a Queenstown a little away. Queenstown is a small town, but it is the best place to prepare for various activities, because it has various outdoor shops and. 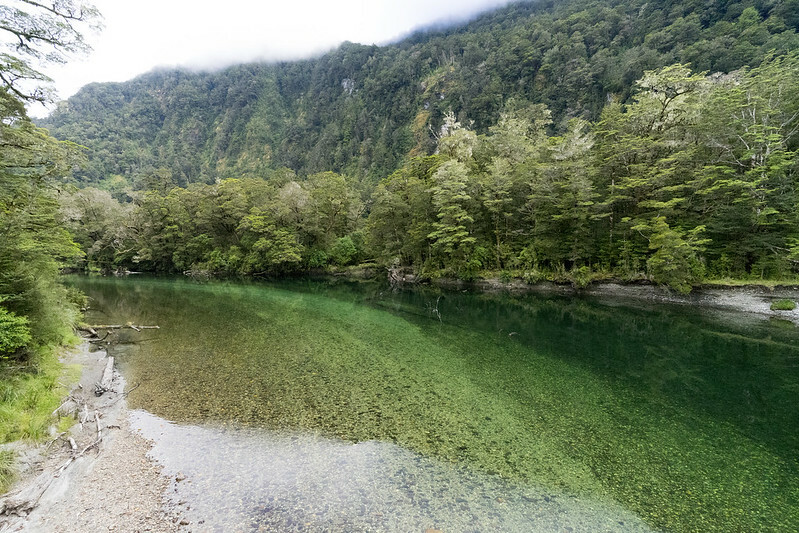 Guided walk arrange the shuttle from Queenstown, and we will first take to Te Anau over about 5 hours. 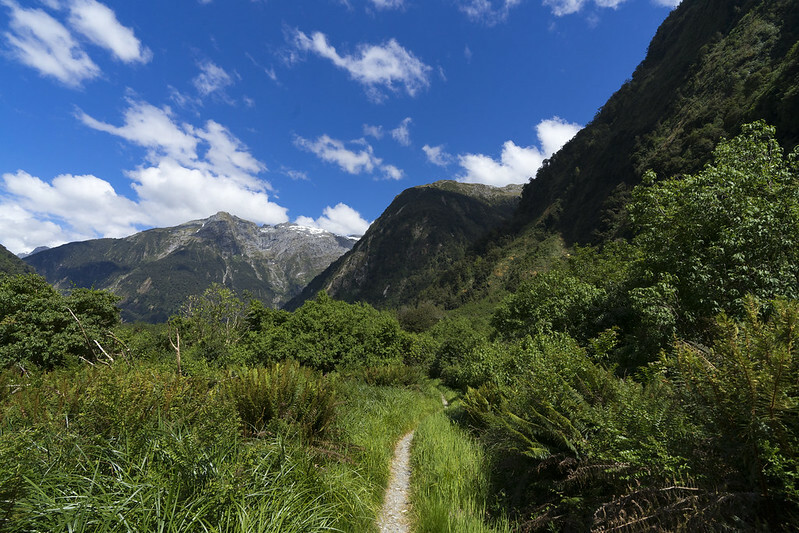 Actually this Milford track is blocked by high mountains and it is not easy to access the mountain trail. 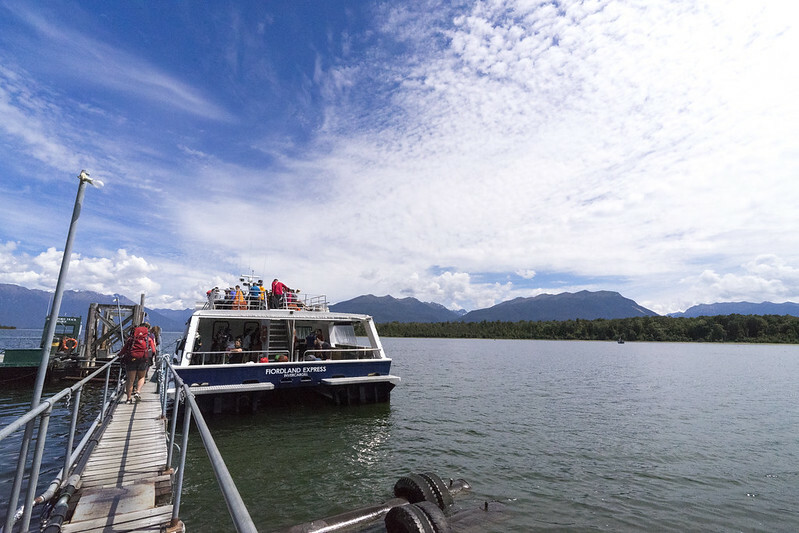 So We went the place called Te Anau Downs, and took a boat from there and crossed Lake Te Anau for about an hour. By the way, you can access by the pass called Door Pass, but it is difficult to go through. Just about 20 minutes from here we arrive at the first accommodation “grade house”. 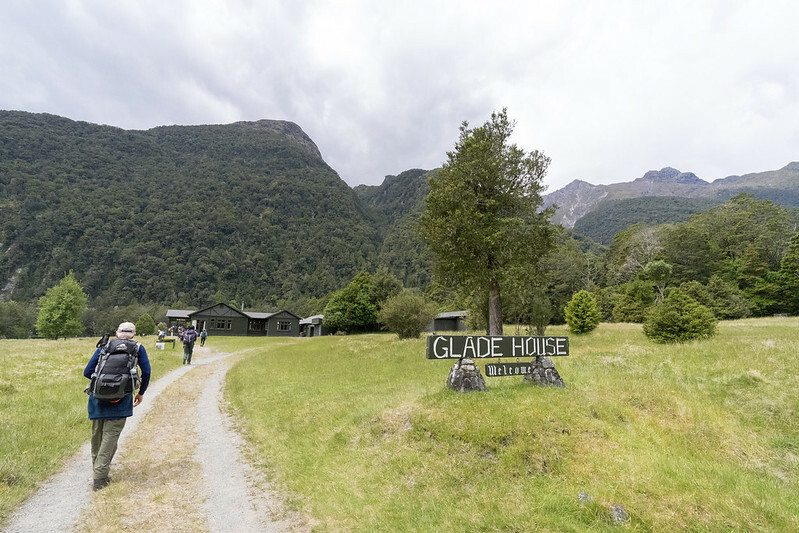 There is a place to stay at the guided walk and the personal walk, and with the guided walk you can stay at the private lodge owned by Ultimate Hikes. 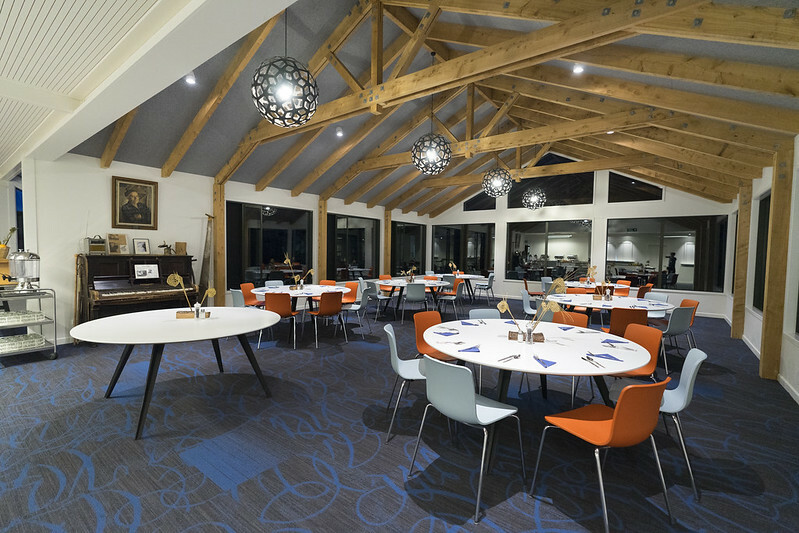 This private lodge provides a 3 course dinner, a shower, a powerful drying room, and also a private room depending on the plan can be selected! 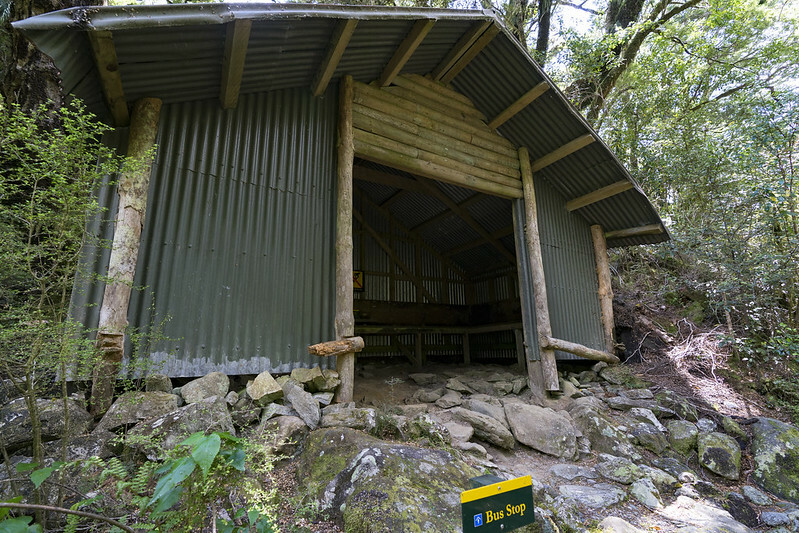 The mountain huts for individual walkers is a self-catering hut. There are some staff, but only bunk beds, self-catering facilities, and toilet. The first lodge of the individual walk is placed approximately 1 hour ahead of the guide walk lodge. 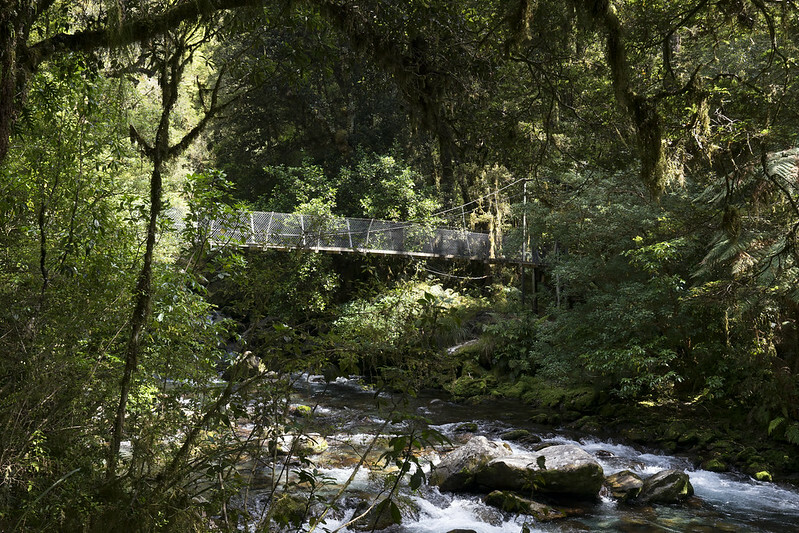 On the first day, the guide take you to a tour called Nature walk around the lodge. 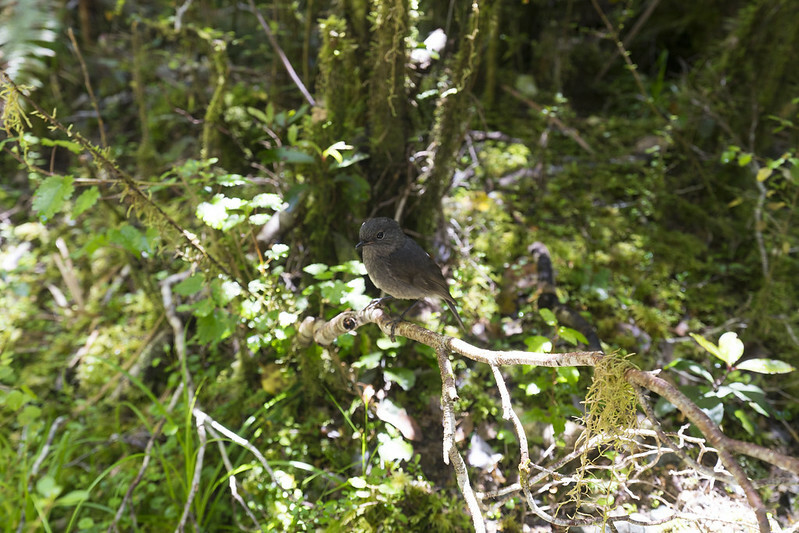 The guide will explain the surrounding vegetation and birds. 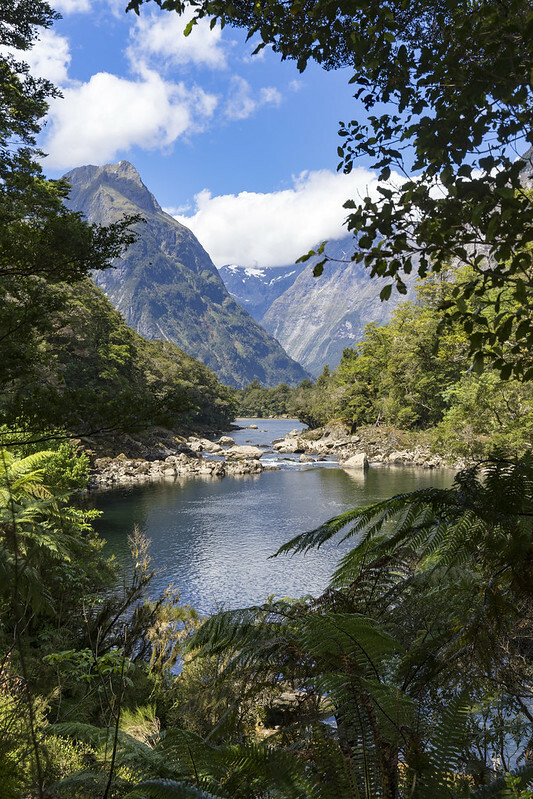 Fiordland National Park is known as a region with very high precipitation. 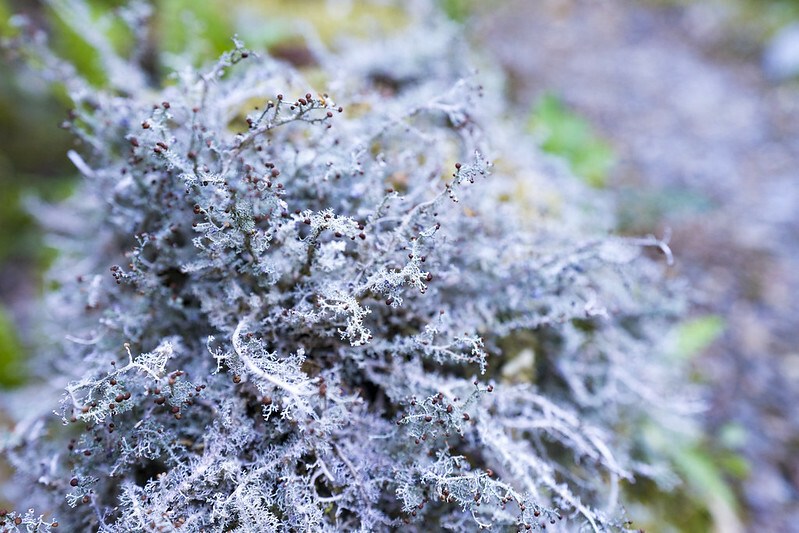 Because it is such a land, you can see very beautiful moss. 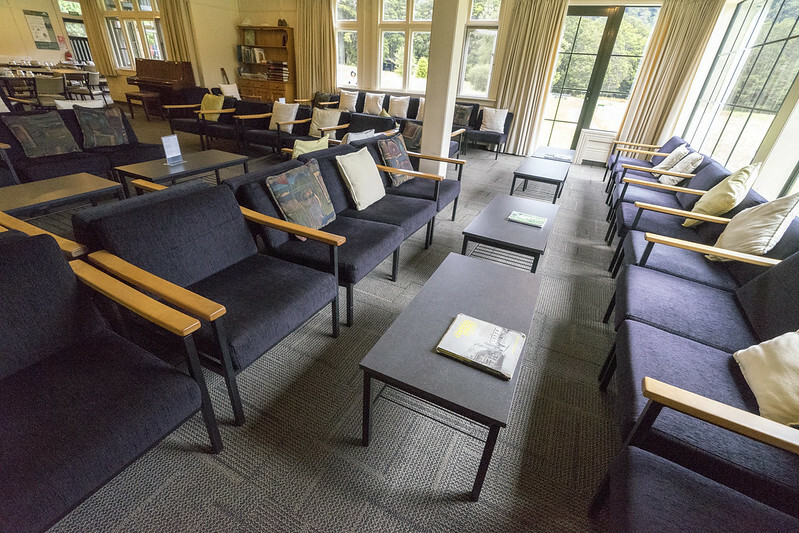 The private lobby has this spacious lobby so you can relax after arrival. 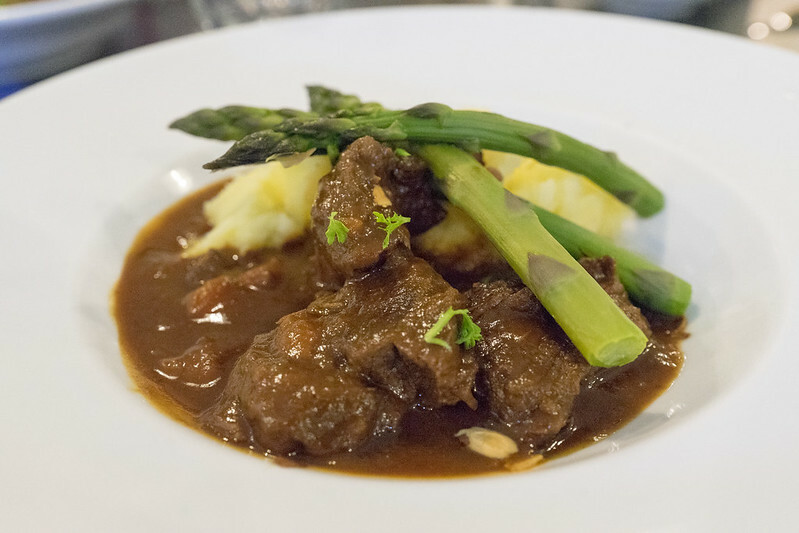 The best attraction of this Guided Tours will be dinners. 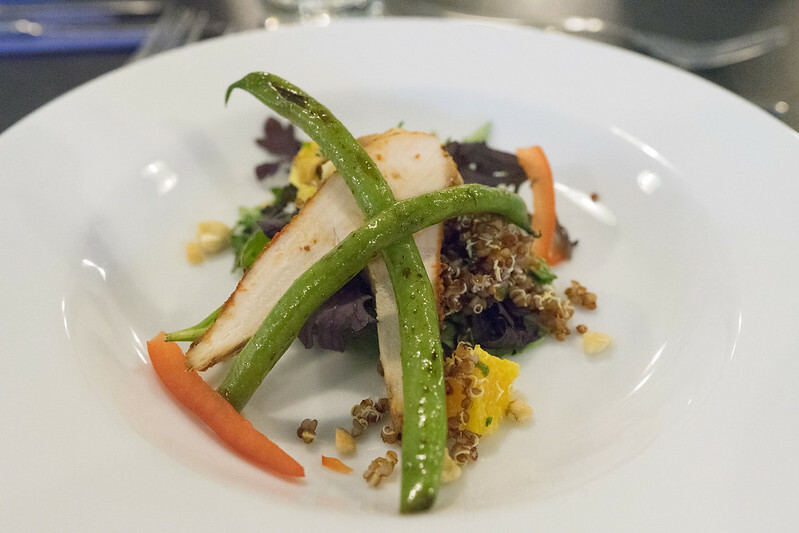 It is served in the course has appetizer, main, dessert. 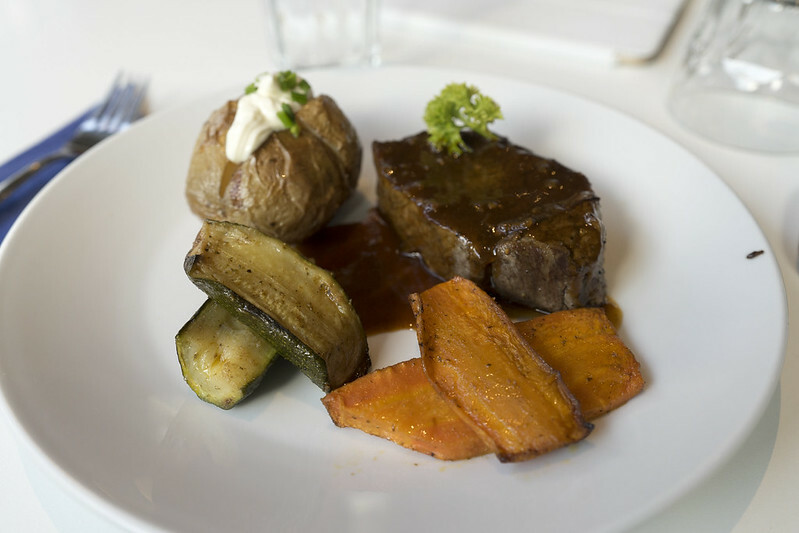 The main can be chosen from three types everyday, you can choose from beef, chicken or fish, vegetarian meal. I chose venison on this day. 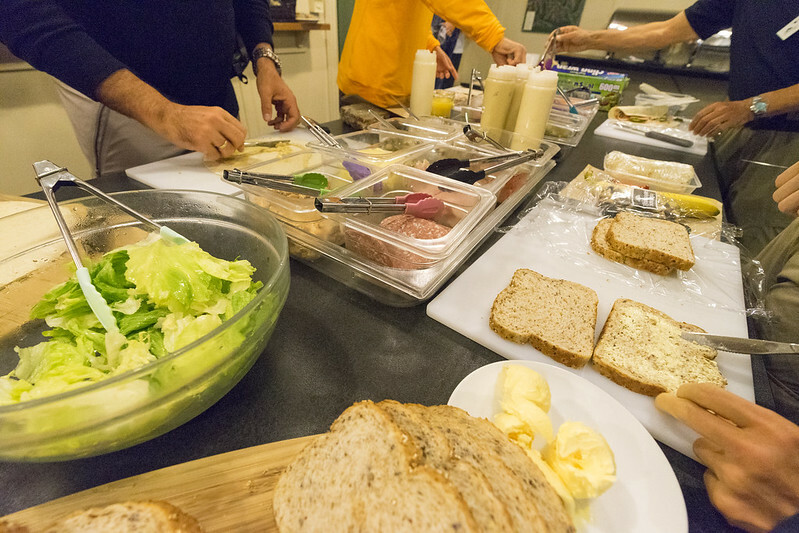 Everyone makes sandwiches as a lunch before breakfast. We can also bring fruits such as chocolate, nuts, bananas and apples, so we don’t need to prepare climbing foods. Going along the Clinton River. On the second day, I walk about 16km, but it is the easiest way. Like this picture the road is very well maintained, there are no incompleteness of signboard, small bridge to big bridge. Because it is a nearly flat road, you can walk slowly. Up to 50 people can participate in the guided walk with 4 guides. Not like walking in a single row like Japan, two guides at the beginning and end and two guides in the middle come and go in the row, allowing participants to walk freely at their own pace I will. One guy was a Japanese one of the guides. It is a good place for this course to be able to walk while enjoying slowly because there are few dangerous places on the road without worrying at all. 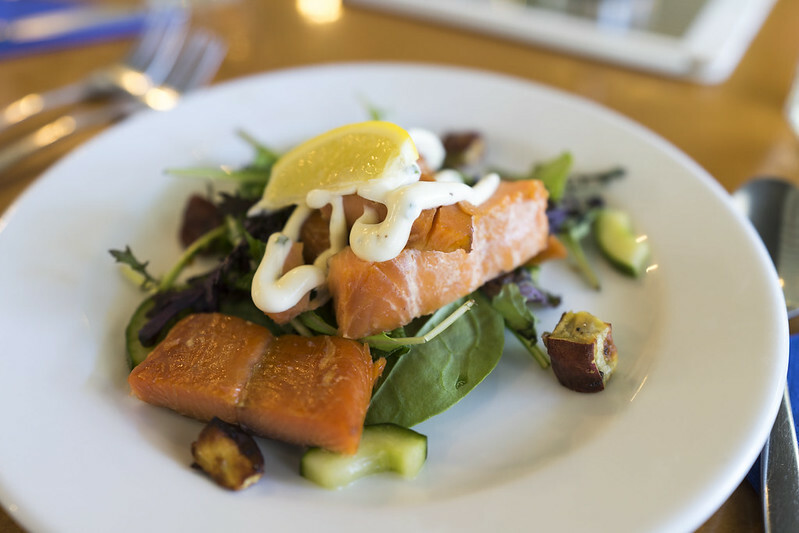 Speaking of New Zealand, you may remember Manuka Honey. 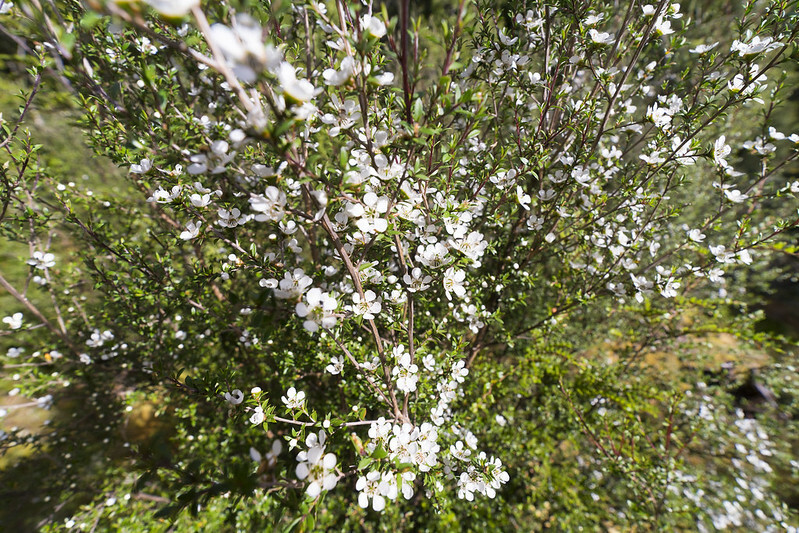 The Manuka tree is also growing here on the Milford truck. Milford truck has many fallen trees. The glacier scooped land seems to be too steep soils and the trees which have grown to a certain extent are falling down. 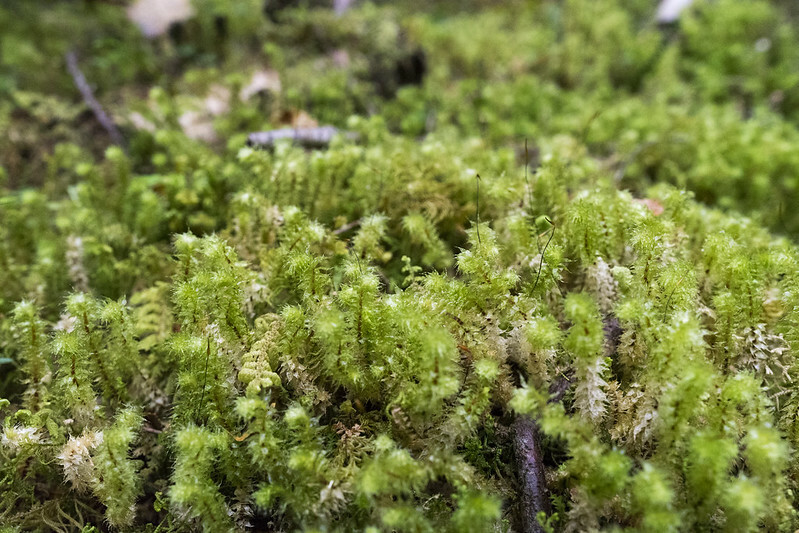 Moss grows on fallen trees, and new buds come out and grow. 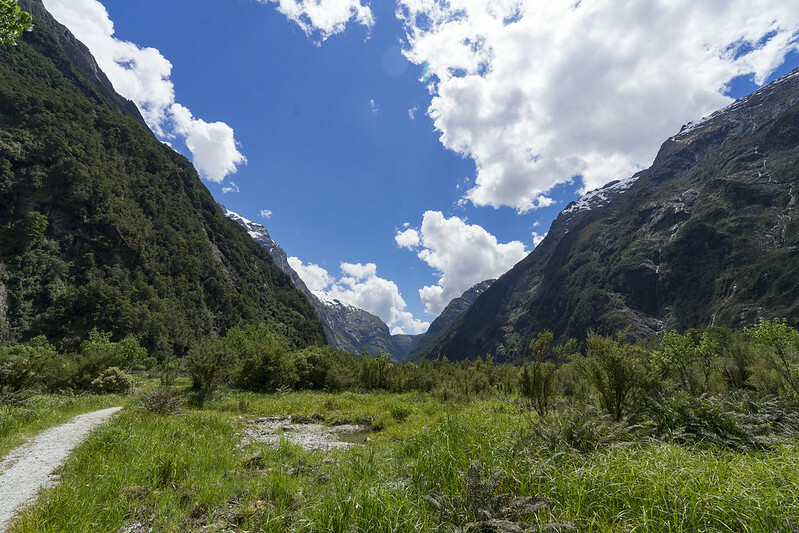 Milford truck is a course to walk through such a valley. The surrounding mountains have a height of about 2000m, but until 10 thousand years ago all this was under the glacier. In the process of glaciers flowing over the ocean over a long time, the valley was shaved by 2,000m, and the terrain like this was created. As you pass through the forest, it seems that the valley is looming. The last feature of this day is Lake Prairie. It was named Swimming Pool and was able to swim, but this day is 22℃ during the day. It is hot to walk, but it is too cold to swim. Everyone was taking off my shoes and was using it like a footbath and it was very cool. 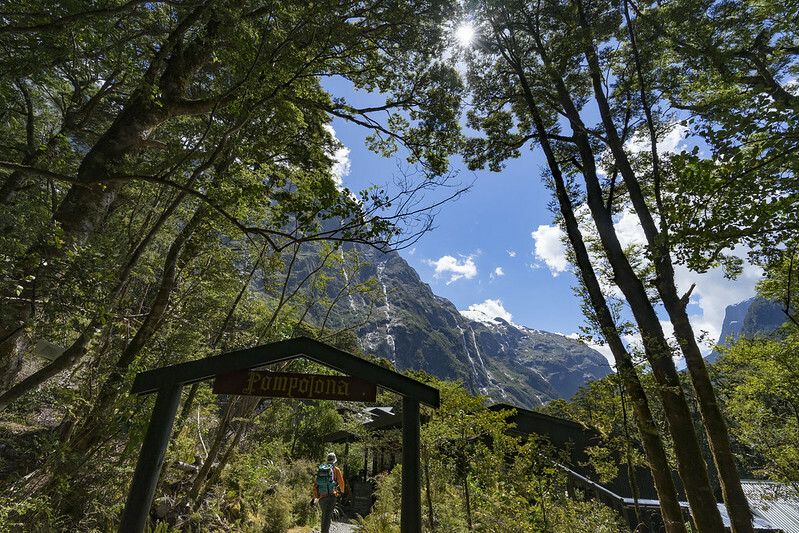 It is a little more to the accommodation Pompolona Lodge this day, but a bus stop suddenly appears. Actually when it has heavy rain, we are not able to across the river ahead.In case of this, this bus stop will be the rain shelter.If it rains so hard that it can not get through for a long time, it might be use helicopter. This lodge, has a lots of special. 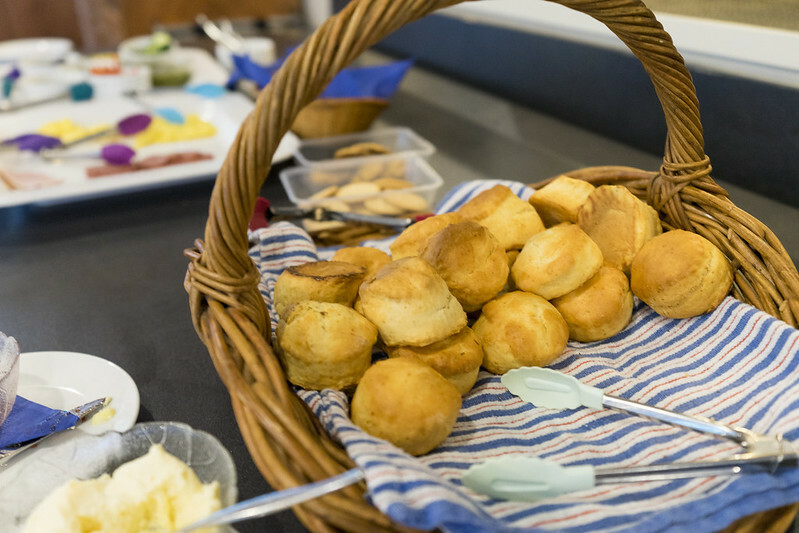 The scones of the original recipe inherited from the time it was built 100 years ago will welcome you. 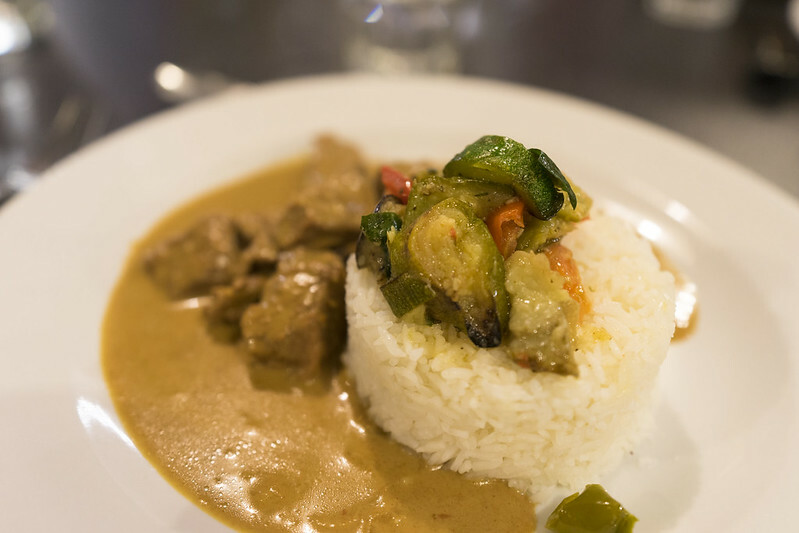 I chose coconut curry for today’s dinner. 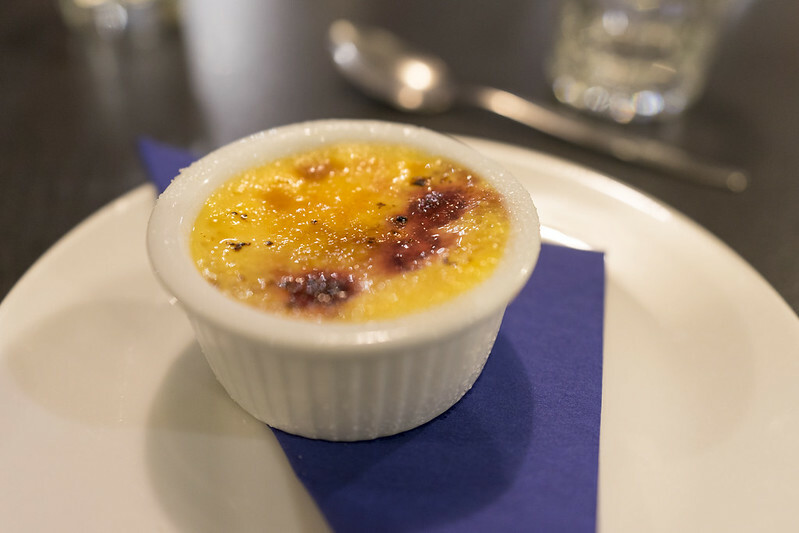 Dessert was a delicious Crème Brûlée. Kia which is kind of parrot likes playing with human. The placed climbing boots are a toy for Kia. Kia is often coming to play in a dinner time, will not escape if we approaching him. You can also can also order Egg Benedict as a special Breakfast. 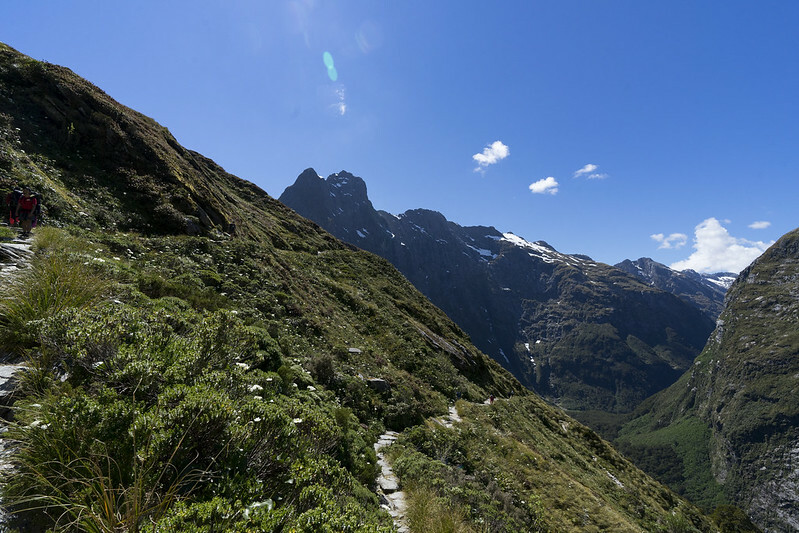 The third day is the 15 km road beyond Mckinnon Pass which is the highest point of this Milford track, it will be the hardest day on the track. 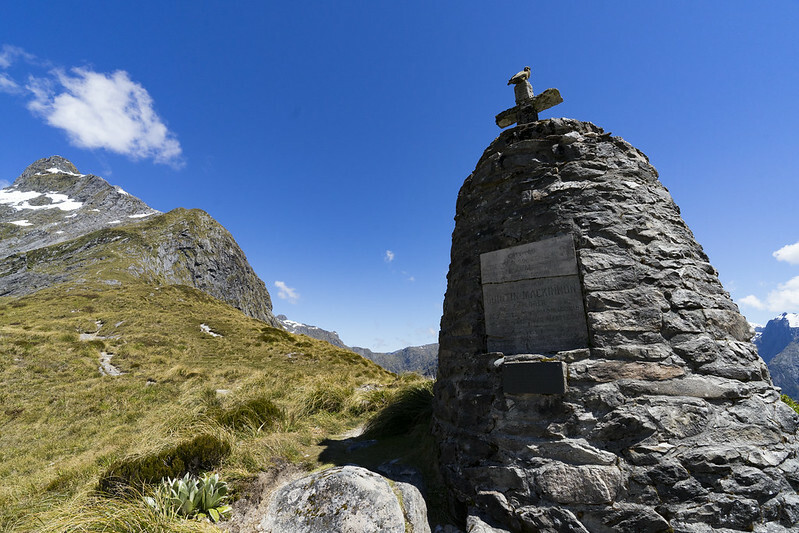 It will be calculated to ascent 700m and descend about 900m. 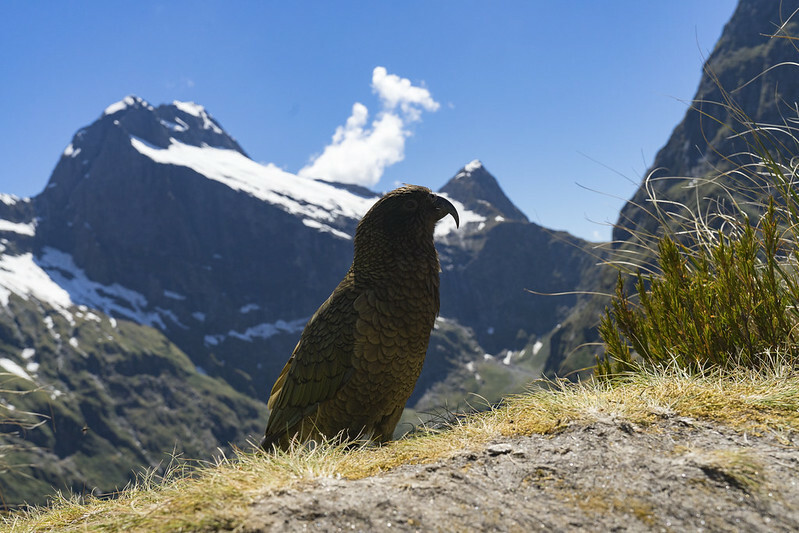 Because there were no natural enemies, you can see many birds that can not fly such as Kiwi and Weka which are the national birds of New Zealand. 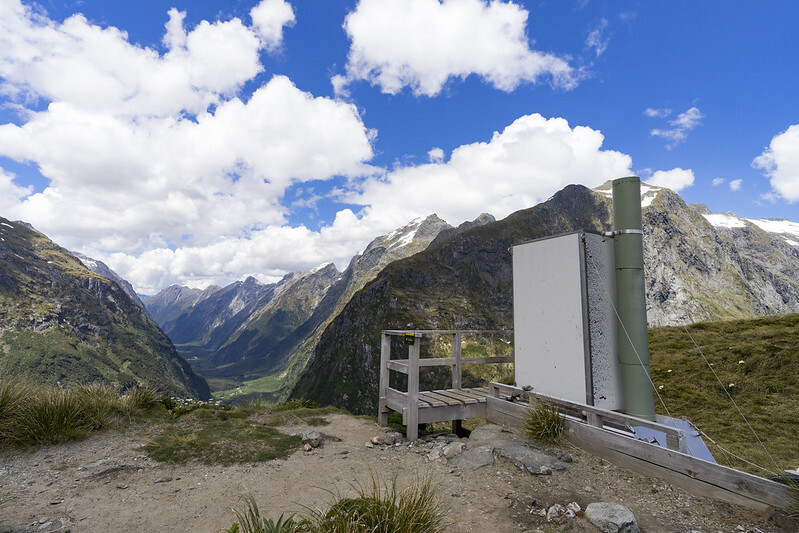 The highest point of the Milford truck is this Mckinnon Pass. 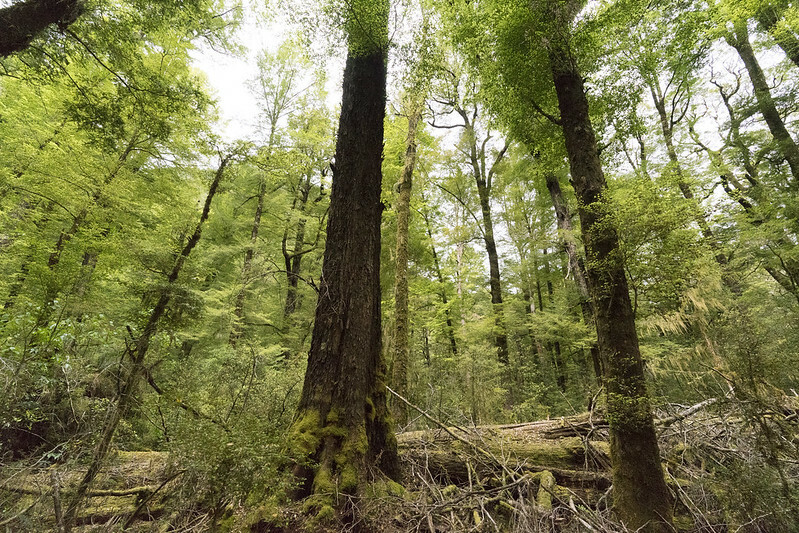 Although there is only 1,140m here, the forest limit is around 7 or 800m and it is a place where the scenery is outstanding. It is a place should be sunny. When I was taking photos, Kia came to cut in the frame. We have a lunch here on the third day. The photo is the toilet with the best view in the world. 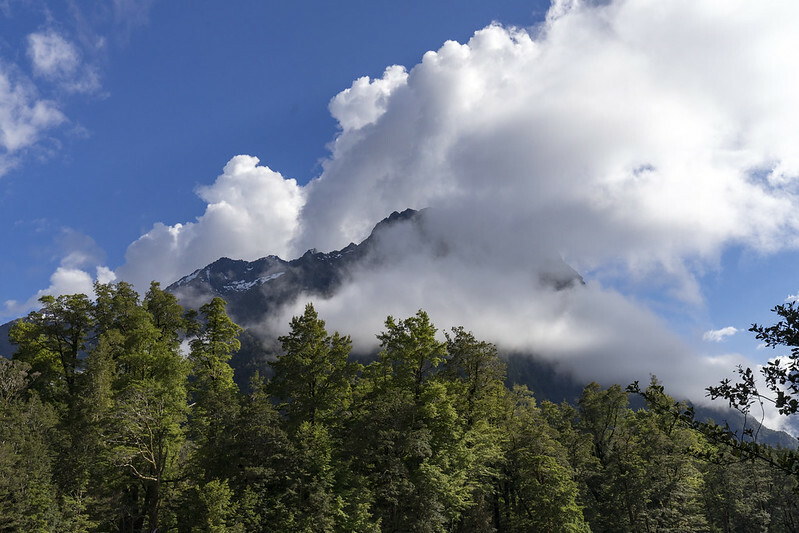 Milford track has a lot of avalanche. The sharp ground which glaciers have scooped will cause an avalanche everywhere. The track opens in November, but until around the beginning of December, some courses may be closed due to avalanche alert. Emergency truck is old road. It is shorter than the new road but it is steep grade and it is attention to your knee. By the way, the participants seemed to have hit a tour from Japan and it was composed of more than half Japanese. Normally, Japanese are 1 and 2 out of 50 people. There were four couples who came on honeymoon trips. it’s recommended. 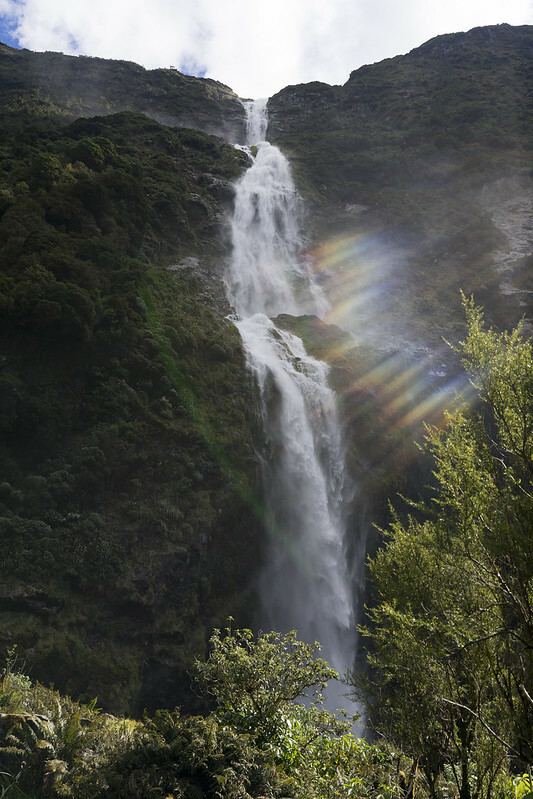 When we arrive at the Quintin Lodge, left luggage to the lodge and go to see the Sutherland Falls. The trail continues from the back of Quintin Lodge. 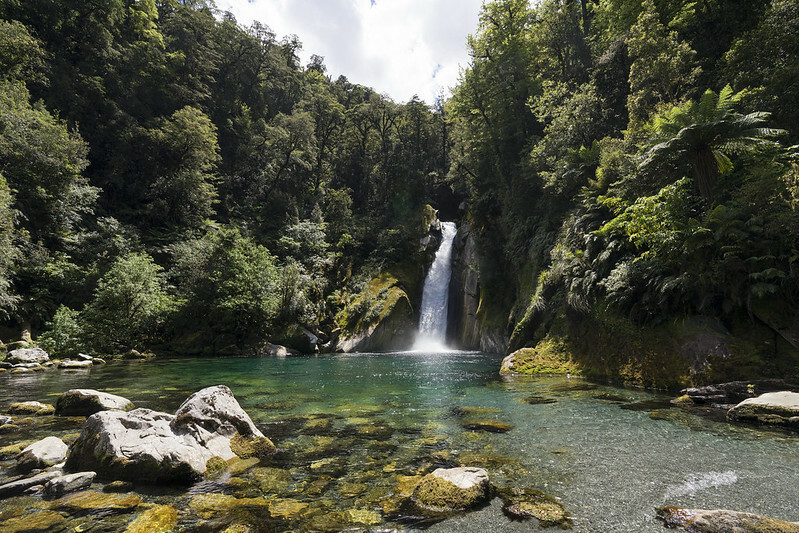 It is biggest falls in the New Zealand which have the height difference 580m. It seems that this day is sunny and the amount of water is small, we could bathe a much water that is impossible to get out a camera from the backpack. Place for a dinner. There is a piano every lodge. Is this really a mountain hut? Today is a steak (it was a bit hard). Hot drinks are all you can drink, black tea, green tea, miro, coffee and espresso are prepared. Cold drinks such as coke and sprite and alcohol such as wine and beer are charged. Wide variety of wines are not so expensive. Finally the last day of walking. On the final day we will walk 21km, but it is almost flat so don’t worry. Deep forest, deep valley, alternately show various facial expressions. 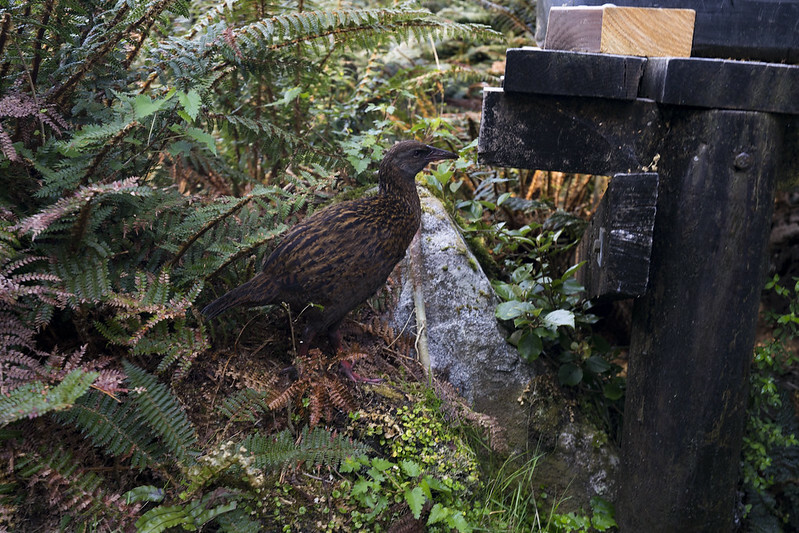 I found a weka with a child here. This is the Southern Hemisphere. It is attention to ultraviolet rays. Giant gate waterfall at lunch point. It feels so good that I will stay long. Last 1 mile sign has come, I feel a sad to apart this track so I walk slowly. 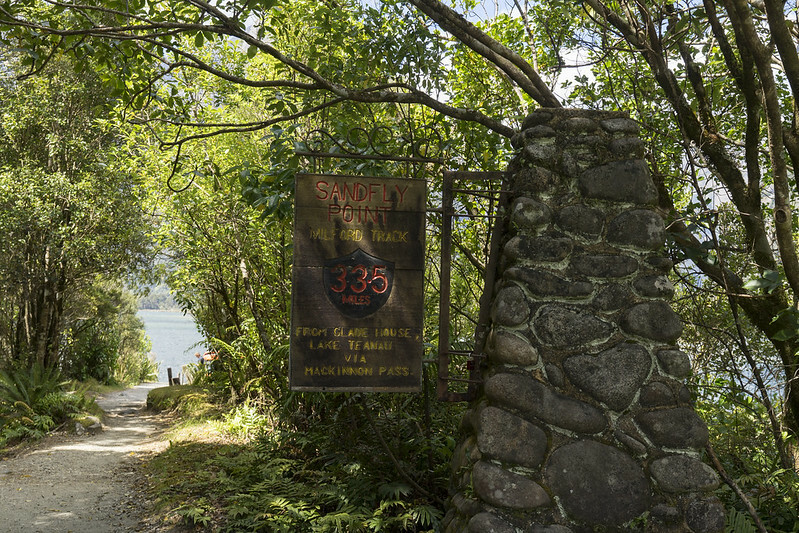 It is the end of this track, sandfly point. It is 33.5miles and 35.5km from the beginning. 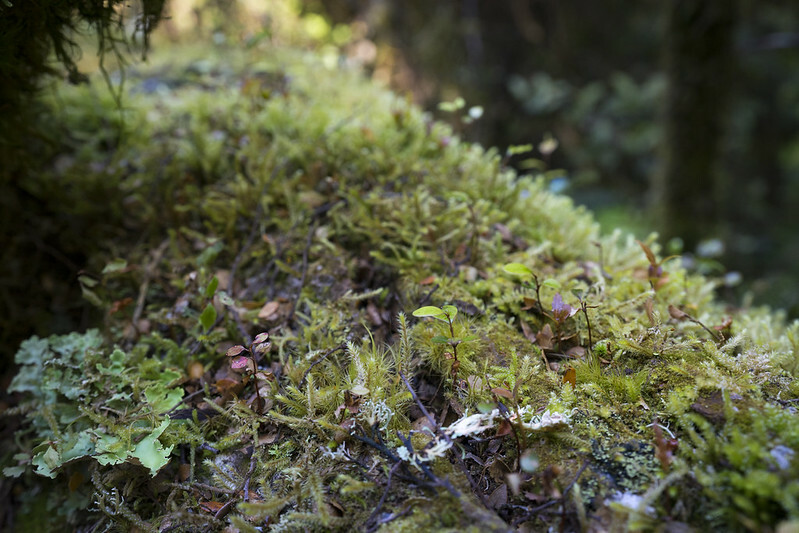 Sandfly is a similar to mosquito, this sandflies are flying a lot in the Milford track, and the damage when biting is enormous. 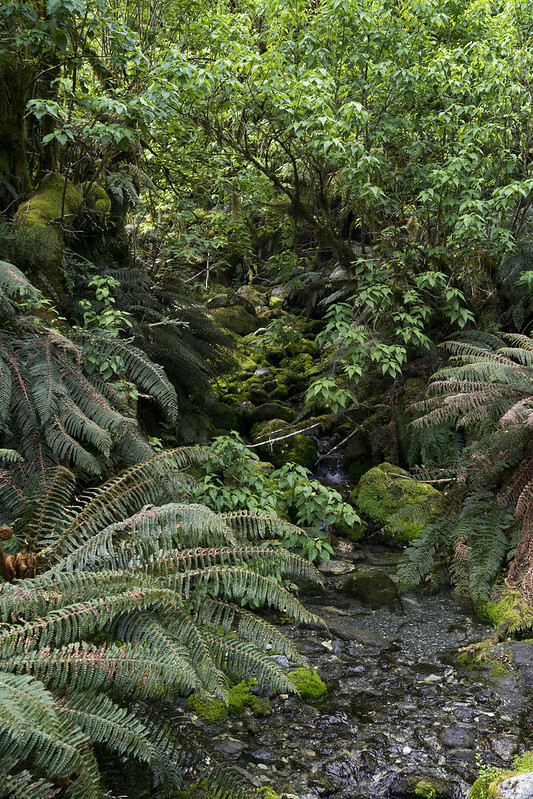 As Maori’s legend has it, It seems that God made it so that people do not stay long in this wonderful place. 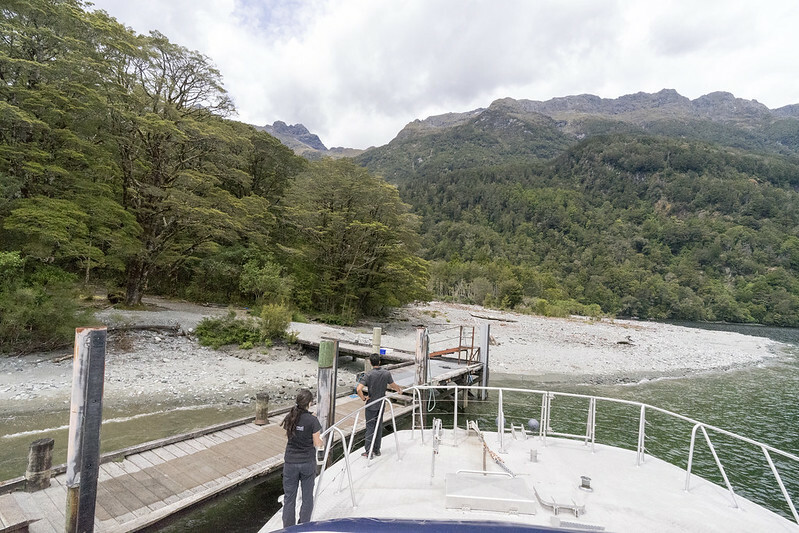 Take the boat at the sandfly point and head to the last lodge Mitre peak lodge. 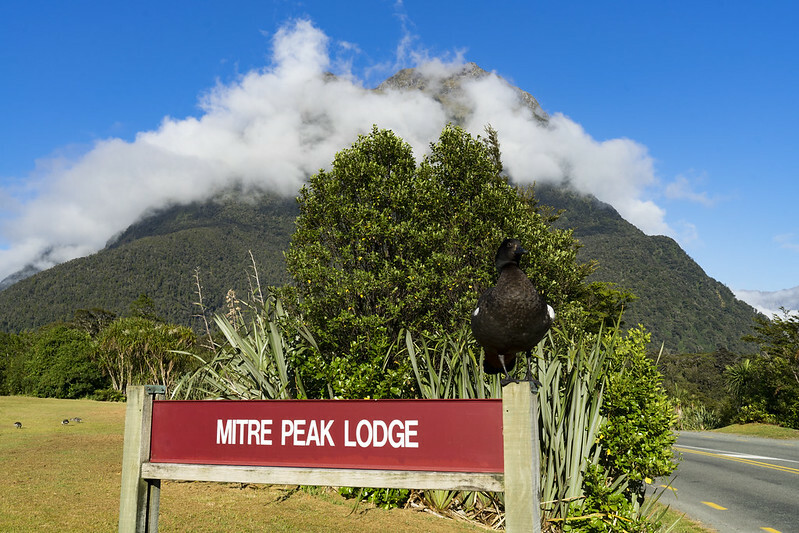 In the end of journey, we head to Mitre Peak Lodge, the only accommodation in Milford Sound. 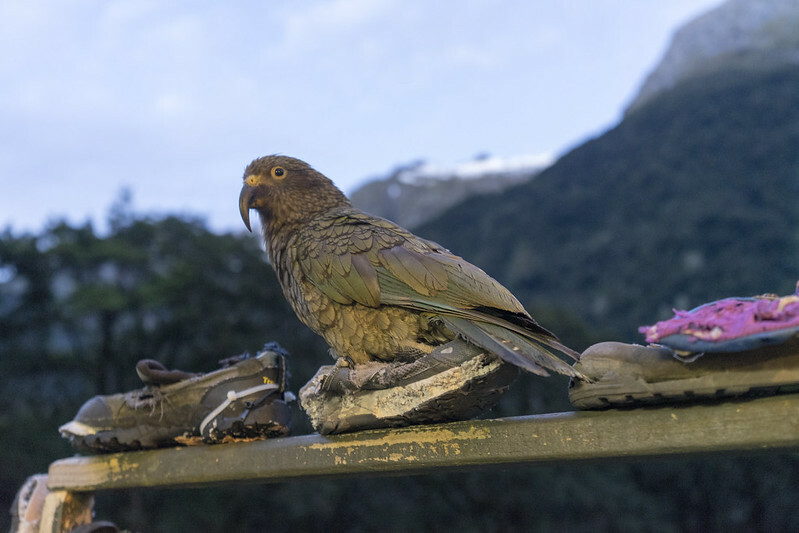 Mitre peak lodge is a private lodge dedicated to this tour and can not stay unless you participate in guided walk. 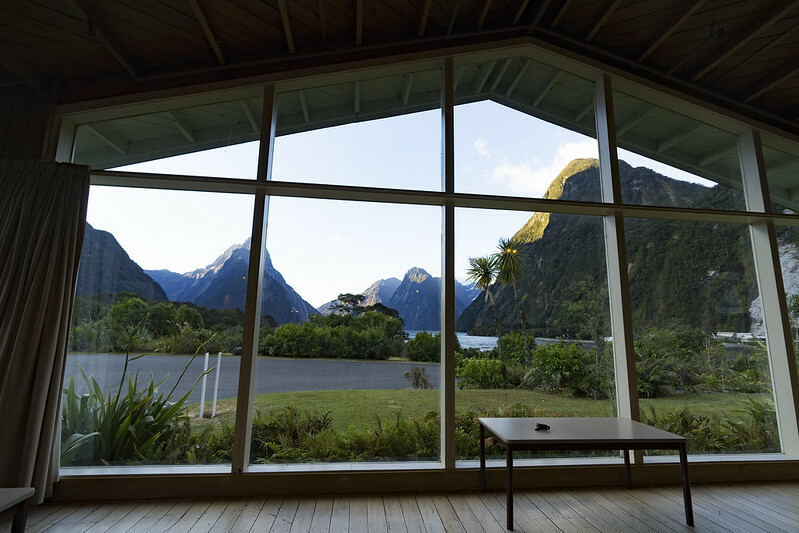 Milford Sound is a very famous sightseeing spot and many tourists visit, but this is the only special lodge to stay while watching this views. 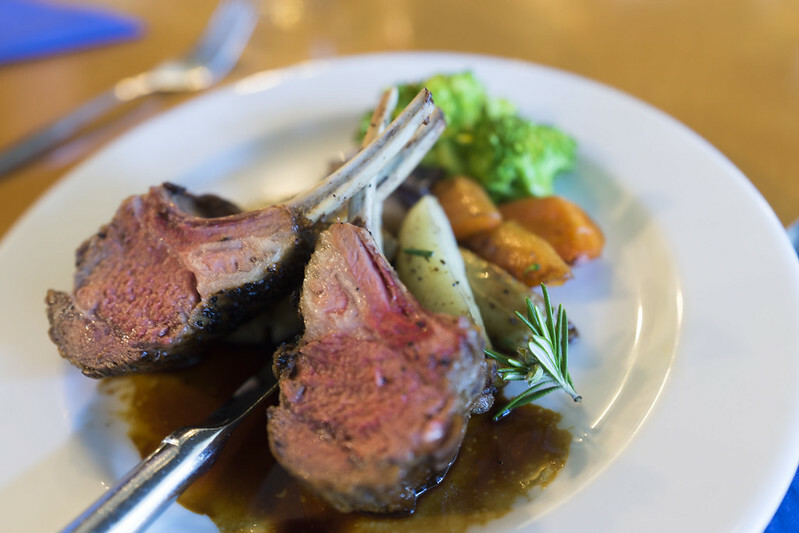 The last day lamb meat. It was very soft and tasty. There is no walk on the last day. 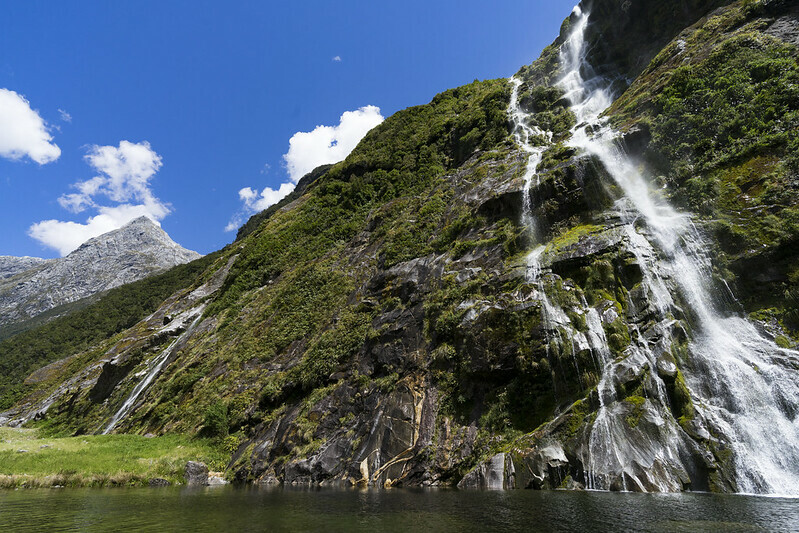 Cruising about 2 hours at Milford Sound is included in the tour. 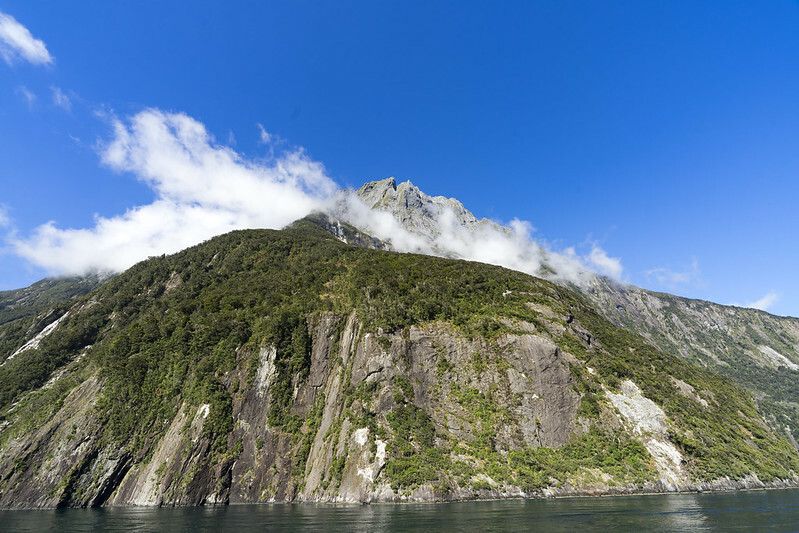 Milford Sound is a very valuable place to see wild penguins, seals. 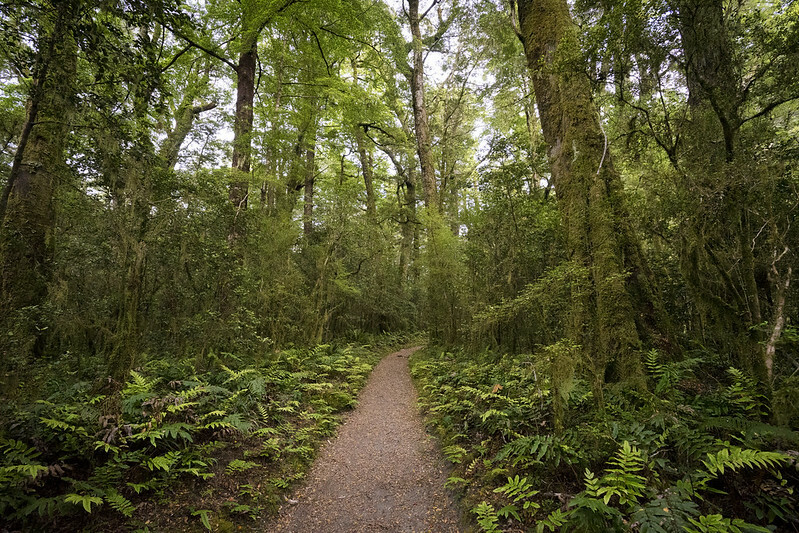 If I could, I wanted to walk more, it was a wonderful tramping. Normally builds on drone.io are executed on x86, x64. In some case, you want to run build on other architecture. Drone now supports arm and arm64 from v0.8. The ARM is used Raspberry Pi, Mobile Devices such as Android, and IoT devices as well. To introducing CI/CD into the development of embedded device like this is very important. This article describes introducing arm architecture build on drone.io. Although ARM architecture is now supported by drone.io, you need to run drone server on x64. If you have already the server, use it. If you want to build with ARM, setup agent in ARM environment. Raspberry Pi is an easy way to make agent by installing docker, also qemu virtualization is available. Agent images are provided for arm and arm64 environment. There are tags including linux-arm, linux-arm64. Finally, you need to set DOCKER_ARCH=arm as an environment variable as follows. If build starts on this condition, drone server is not to able to detect the architecture, and cannot select the suitable agent to run. To specify the architecture, add the platform to .drone.yml as follows. You can mix the multi-architecture agents under the one server because the agent will be chosen by drone server. ARM build requires ARM docker images. Officially ARM-based images are provided on docker hub, so you can customize these images. There is a note to use ARM build. ARM build requires ARM version of the plugins. Almost official drone plugins provide support for ARM, however, your own plugin should rebuild image on ARM. Infrastructure test becomes more important. There are several tools for continuous delivery of infrastructure layer. KitchenCI (test-kitchen) provides a test harness to execute infrastructure code on one or more platforms in isolation. Although KitchenCI uses Vagrant to operate virtual machines in default, kitchen-docker enables docker driver to operate on docker container. We can realize automated infrastructure test on drone.io by this plugin. Drone runs a test on docker container. Because KitchenCI builds container and provisions Chef recipes into it, What executing KitchenCI on drone means building container in the container. It is called Docker in Docker (dind). We need a small work to run dind, officially dind images are provided on docker hub. A tag including “dind” is for dind usage. Firstly, you need to write services section in .drone.yml to enable dind. Port 2375 is docker port. You need to turn on “Trusted” flag on your project because dind image requires the privileged flag. Because the ChefDK package does not installed kitchen-docker, you must prepare installed docker image. This article uses aberrios85/drone-kitchen. When using docker socket of dind from other containers, set DOCKER_HOST as follows, turn reference port to what set in the service section. To use dind docker socket in KitchenCI, change config file .kitchen.yml as follows. Socket section enables to change the docker port. It will take a long time to create, converge, setup, verify and destroy, however, automated infrastructure test will work well. The trusted flag can be set only administrators, the general user feels pain. If only reliable users access to the drone, setting the environment variable DRONE_ESCALATE to docker on drone server, drone makes privileged enable automatically. Drone provided the standard cache function until v0.4. Cache function is to use build artifacts which saved in the end of previous build. It reduce the build time to preserve node_modules for nodejs, bundler gems for ruby.From dron v0.5 disastablished standard cache function, instead provides plugin. Plugin function produces some problems. This article introduces alternative cache function. When you expected to the same behaviour as always, volume-cache plugin is available. This plugin is able to save the build artifacts on the arbitrary path which is running agent. Enabling cache is to put the step of cache restore and rebuild between build as follows. Because this flag is able to set by administrator only, management will be heavy task. Also trusted flag open docker socket to plugins, so the user can mount on any paths on the agent host. It is the best choice in small scale usage. s3-cache plugin which uses AWS S3 as cache storage is also available. When your drone is hosted on AWS, this plugin is convenient choice, If not, you can choice S3 compatible storages. Minio is the best for you own hosted drone. Minio is able to launch on docker immediately, works fine with drone. In docker-compose, the settings are as follows. Minio uses 9000 port as default, however the drone v0.8 uses 9000 port for gRPC to communicate with agent. 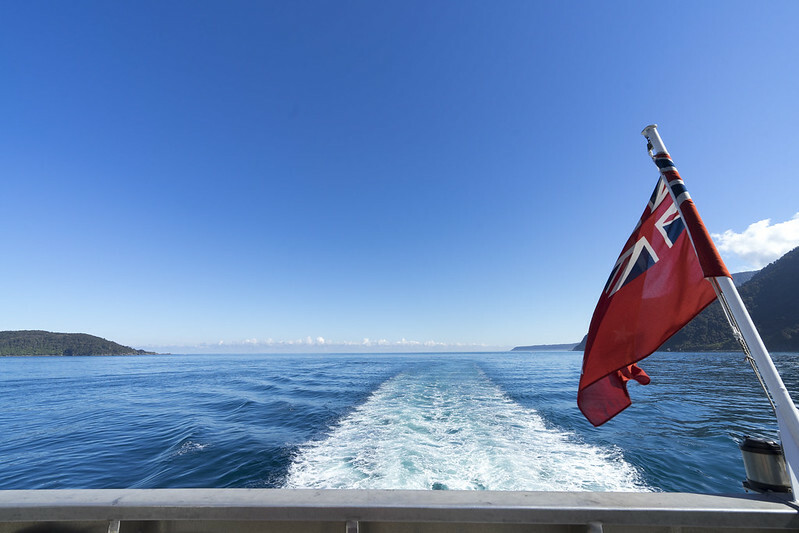 To resolve port conflict, launch on other node, or listen port 80. Minio is simple storage for single user. Because of this, the access and secret key is need to share with all users. But this is not going to matter as much for cache storage. Setting example is as follows, but the url option uses on document for S3 endpoint setting, “endpoint” is required instead of url option. Default cache path is ///. Basically it generate the cache on each branch, it reduce effectiveness of cache when in workflow creating branch on every feature requests like a Github Flow. If you specify the path option with a fixed value as below, the cache can be used the same artifact every time. In this case, using path option to avoid this problem. flush is the function to erase old cache. Since minio can be seen regular files from the host side, if tmpwatch target include the minio mount path, the user do not have to explicitly write flush_cache. The cache function has been deleted standard features in v0.5 but now users can freely delete rotten caches by the plugin. Try more drone. Number of executable tests at same time are as same as registered number of docker nodes. When exceeds the limit, rest of the test will be delayed. Measuring the load is important, because long task will easily block the other many tests. $ sqlite3 /var/lib/drone/drone.sqlite "select count(*) from jobs where job_status = 'pending';"
Job status list and schema are available on github. I created the bot that is watching the pending tests, and notify to the hipchat. OSS drone.io works with other services in notifications and deployments. But once you commit a password or authentication token for other services writes in drone.yml, your sensitive data will be public. The drone provides “secrets” that encrypting your sensitive data. the official documents describe the way using command line tool, however you can generate the secrets on the Web UI. At first, open your repository setting page on the drone, and select the “SECRETS” tab. Input your secrets under environment node as yaml files like below. Generate and copy the output text into “.drone.sec” file on the top level of repository. drone v0.4 has breaking changes. Without converting .drone.yml, all tests must fail. One of mitigation is a parallel run with Name Based Virtual Host. Apache2 setting sample is below. drone v0.3 does not support the reverse proxy. X-Forwaeded-Host cannot be interpreted. ProxyReserveHost will pass the Host header from the incoming request to the drone. Authentication callback can be return to the proper url (not localhost). Restarting the apache, v0.3 and v0.4 run on same host.